With Corrugated panels, the discernible characteristic is the wavy U-shaped curve. With Ribbed paneling, there is lots of variation that can occur between the upper curves (or ribs). Generally, each panel is 36 inches wide, sometimes less. On each end will be a rib or raised point which is intended to overlap with another panel. Those are fastened together with metal screws which are then inserted into your roof deck and held tightly against your roof. Between the two ribs (on either side) will be some consistent pattern, that will look like your roof is made of long vertical panels from the ridge to the eaves. Essentially, there are 2 primary types: R-panels and 5V-Crimp panels. The 5V-Crimp ones very much resemble Standing Seam panels, with the key difference between that the fasteners, for 5V-Crimp, being exposed; whereas for Standing Seam, they are hidden. The R-panel can have lots of variation. The names can be a tad confusing at first, but if thinking of the side profile of how these panels appear, it makes it easier to understand the naming. The 5V-Crimp, viewed from the side has, you guessed it, 5 “V” shaped ridges to each panel. With R-panels, there’s a whole bunch of creativity on the market for how ripples are spaced and how ridges are shaped. Did you know? There are even some Ribbed panel types that don’t fit so neatly into the R-panel category, such as SL-16 and PBU. Plus, you’ll find a few examples of ribbed metal panels where fasteners are hidden, just like Standing Seam. Panel length can range from 3 to 42 feet (maybe longer). Home Depot sells R-panels that are 16 feet and under in length. They have about 10 colors available. Which brings us to another consideration. Are there only 10 colors available for this product? Nope, and not even close. The manufacturer Fabral, which is what Home Depot and Lowe’s carry for ribbed metal panels, lists 20 color options on their site. And they aren’t the only producer of Ribbed metal paneling. The reality is color options are not limited and each brand will offer slightly different color hues, while most of them likely offer ability to customize to order any possibly color. Though that will cost more than what they mass produce for the residential market. Gauge would be another option to consider. 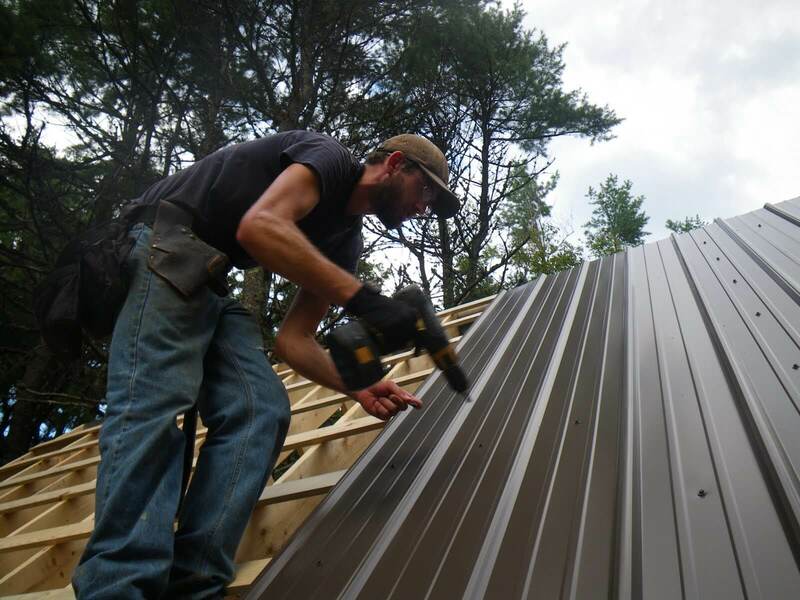 You’ll mostly find 29 or 26 gauge for Ribbed metal roofing. We found at least one seller, MetalDeck.com, that offers 22 and 24 gauge in addition to the 2 standard thicknesses. And remember, the less the gauge number, the thicker the material.